We know that our everyday choices will become a habit. Therefore, today I would like to share some fashion and lifesttyle brands that are not only good for you, but also for the planet and for other people through fair trade business model. 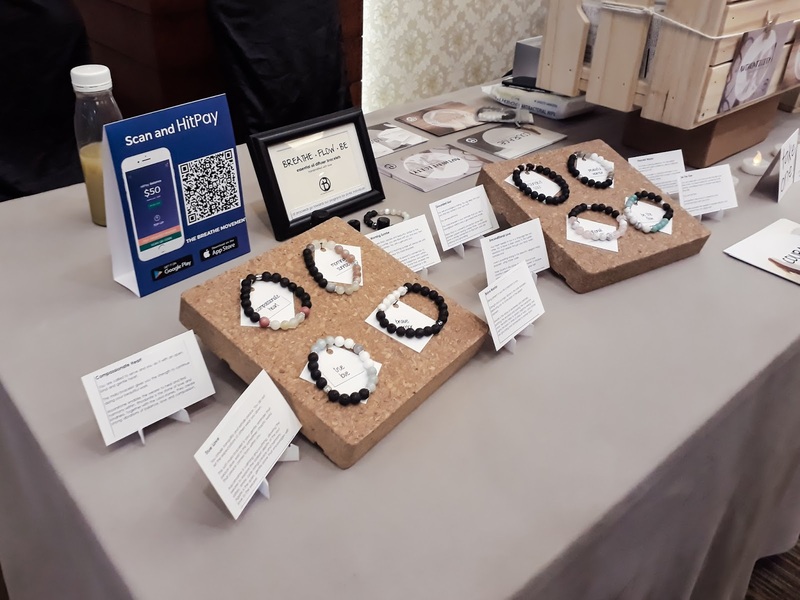 During the Green is the New Black event I attended last week, I found so many ethical and eco friendly brands. So here are some of the brands in Asia and the Pacific that I love. See below and which one is your favourite? 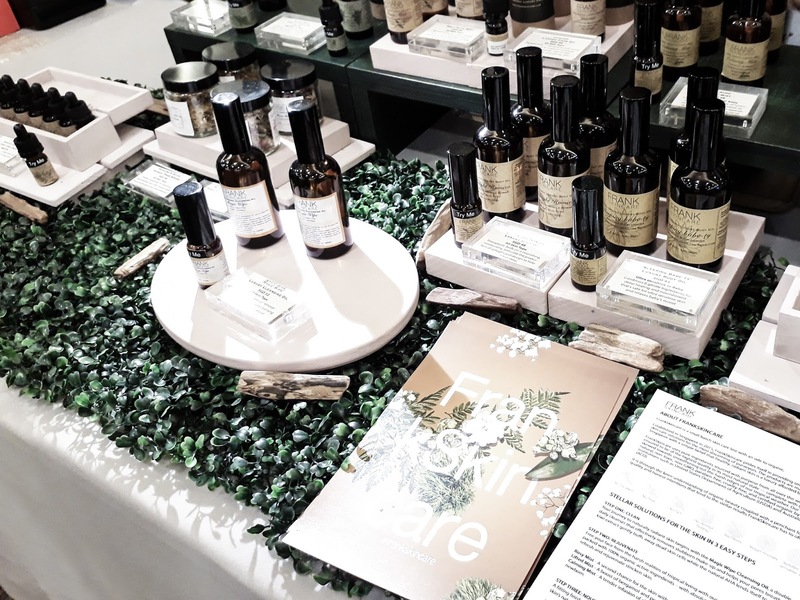 Focusing on achieving healthy skin for everyone, not just for supermodels and celebrities, Frank Skincare make use of organic materials as their main ingredients. Their ingredients are 100% natural, 100% non-GMO (Genetic Modified Organism), 100% Organic (no harmful pesticides or chemical throughout farming process), 100% paraben-free (harmful chemical commonly found in many cosmetic products) and 100% against animal testing. One of their star product is the Magic Wipe oil that doubles as make up remover and cleanser. I must say i'm a huge fan of nice home candle and aromatherapy! 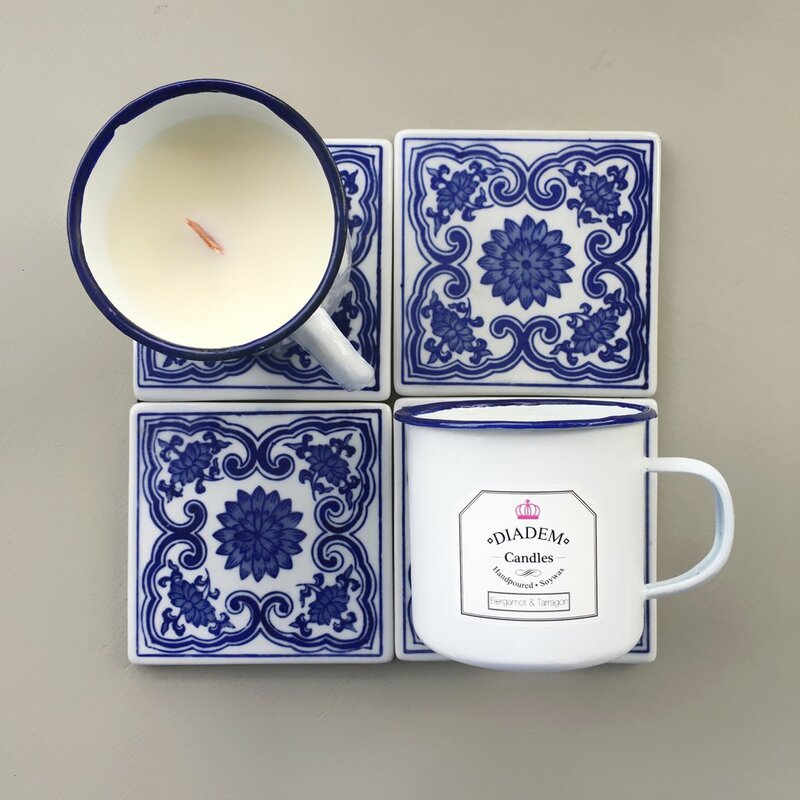 I am so glad to find Diadem candle as it uses natural soy wax and pthalate free fragrance oil that doesn't give off the plasticky scent once you blow it off. 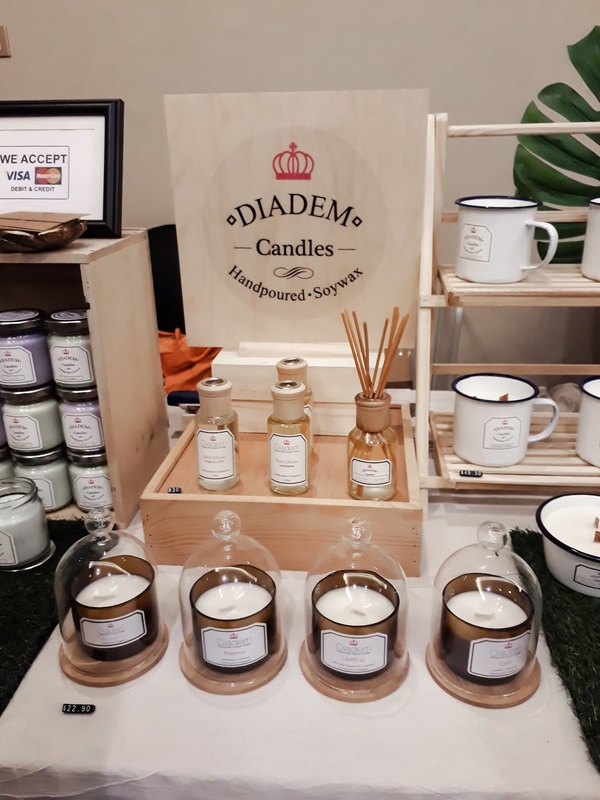 The brand started after the owner made a homemade candle for their wedding favours, then she decided to develop Diadem candle afterwards. You can find wide range of scent in their enamel mug candles or the glass jar. Personally I love their new collection (picture above) with therapeutic balance, calm, and uplifting scent. 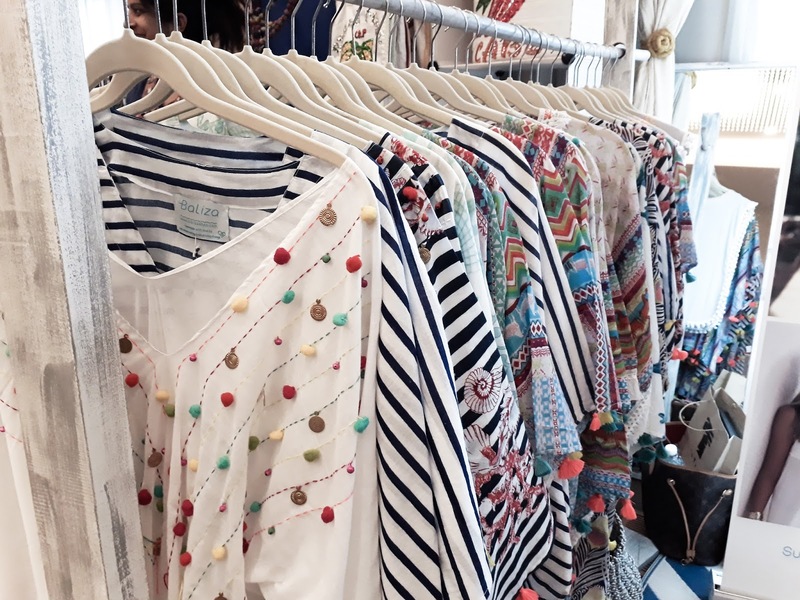 This easy to wear fashion label is inspired by Bali and Ibiza lifestyle by creating holiday ready kaftan, tunics, and dresses Aside from producing fashionable clothing, it also aims to help street children in India through Ladli Foundation. At Ladli, Gudri women learn traditional block printing, beading and embroidery. They receive emotional support and financial education and young adults attend school and learn a valuable skill. Everyone gets paid a fair salary, independently of their skills. I feel, I could not be more proud to wear a piece of clothing that support a good cause! 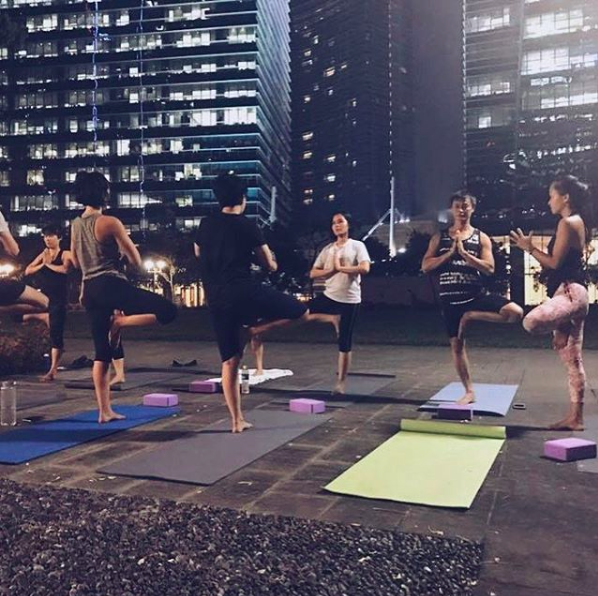 The Breathe Movement provides accessible yoga-based programs to at-risk communities in Singapore. I am amazed by their good intention of sharing the benefit of yoga for other people to be enjoyed and improve wellness at the same time. The breathe movement uses yoga movement to release stress and tension, mindful breathing practice, as well as expressive arts and sharing circles. Yin yang is a yoga and active apparel based in Singapore. They use linen organic cotton as their main material made in Bali. meanwhile, the dyeing processes are based on the traditional dye craft which originated in Sumba, an island in Indonesia. Love how their clothing is easy to wear and fashionable at the same time. Frank Food Company realizes how consuming good veggies will improve the nutrients in our body. 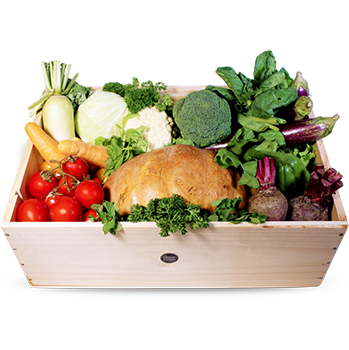 Therefore they simplofy your grocery shopping habit by offering organic vegetable subscription box weighing starting from 6 kg right to your doorstep. The vegetable varies from cherry tomato, carrot, sugar pie pumpkin, white radish, and many more. They are kept fresh as the veggies are sent out 12 hours after being harvested from Java. Through this activity, Liam and Chef Duncan aims to support farmers in South East Asia focused on fair, sustainable and organic farming. Who doesn't love to snack? I guess snacking ha become such a habit for busy people at work or even during weekend at home. Well, now you can have a guilt-free snacking time as Made Real gives the curated healthy snack. 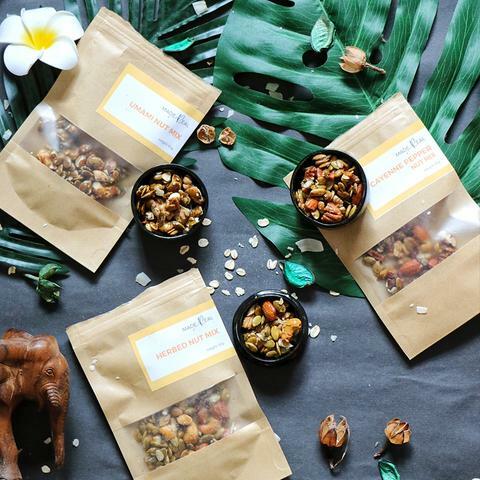 They have various granola, nuts, and other bites as well, oh and they have vegan options too! You can choose how frequently do you want to receive the package (consisting of 6 different types of snacks) deliver right to your doorstep! This Australian brand aims to provide ethically undergaments for both men and women. Mighty Good’s ambition is to build a strong Australian Fairtrade organic cotton brand that engages consumers about how they view, understand and consume cotton. Besides that, they also support Hope Foundation, a charity that is making a real difference to the people in India. Well, we know that we can always recycle our clothes, but you won't be recycling your undergarments right? I feel that investing in the right pair of undergarment is absolutely essential! Who's with me? This Japanese skincare label make use of the good bacteria to help to improve our skin condition, unique enough? The founder believes that bacteria that lived symbiotically in our bodies are essential to our physical functions, from digesting nutrients to protecting us against diseases. With the beliefs kept in mind, Black Paint uses more than 100 types of natural plant oils, more than 50 types of essential oils and Kishu Bichotan Charcoal that are suitable for various skin and body parts. 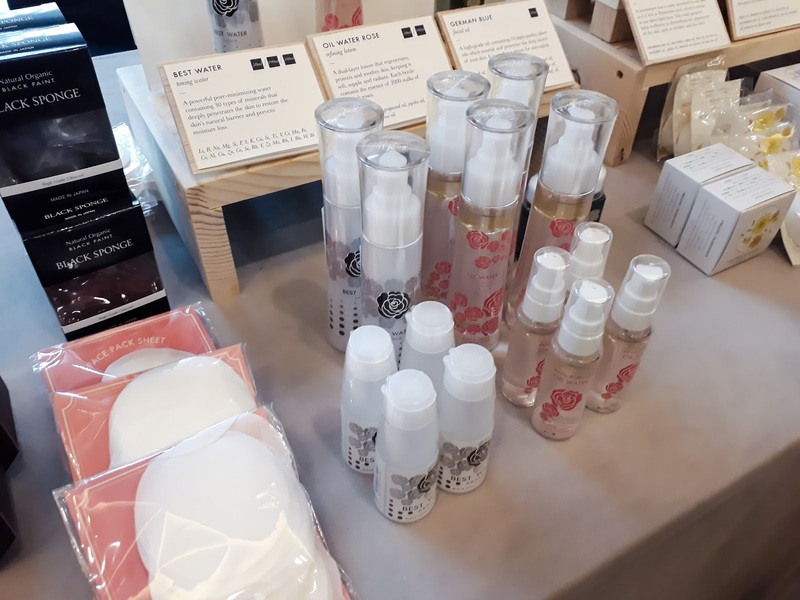 One of their popular product is the oil water rose that smells totally ah-mazing or the black soap that helps to purify your skin from blackhead. I guess, picking the right piece of clothing for our kids is essential, not only they have to look great but the material should be comfortable as well, right? The Good Label is a specially curated site for children clothing with brands such as Baobab, Arthur Avenue, Joey Jelly Bean and many more. All the clothings are ethically made, which either using upcyled material, using GOTS certified organic cotton, or using eco friendly ink. 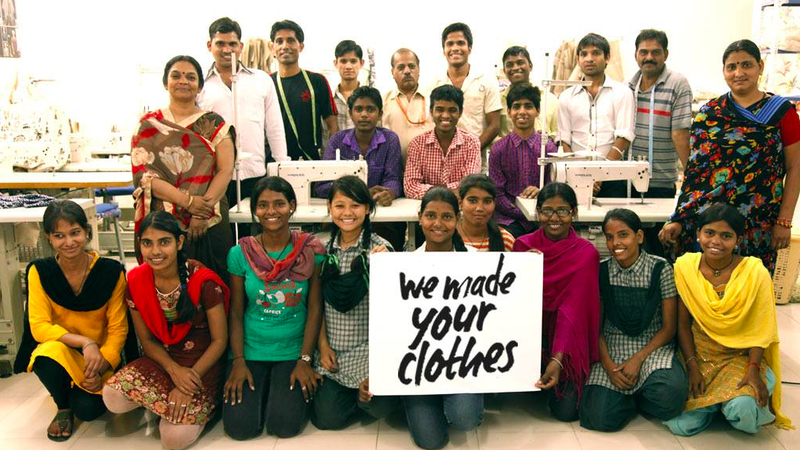 Do you have other ethical or eco fashion and lifestyle labels that you would like to share? Let us know in the comment box below! Amazing post dear! All of the brands sound so amazing,love the photos! Very good introduction into new, ecologically friendly brands. Especially I love these Diadem Candles. They would make a cosy atmopshere at each home. inspiring post Fenny, thanks for this! Baliza looks fantastic. I have never heard of these brands before. I need to check them out. Wow, all of these brands sound amazing! I love that they're all either organic, non-gmo, or ethical brands. I'll be honest and say that I don't always shop these kinds of brands, but for the most part, the skincare and makeup brands I use are all of the above. I feel like I've heard of Frank Skincare before, but have never tried anything from the brand before. Thanks so much for sharing, girlie, and I hope you're having a great start to your week so far! Thanks for all these beauties! 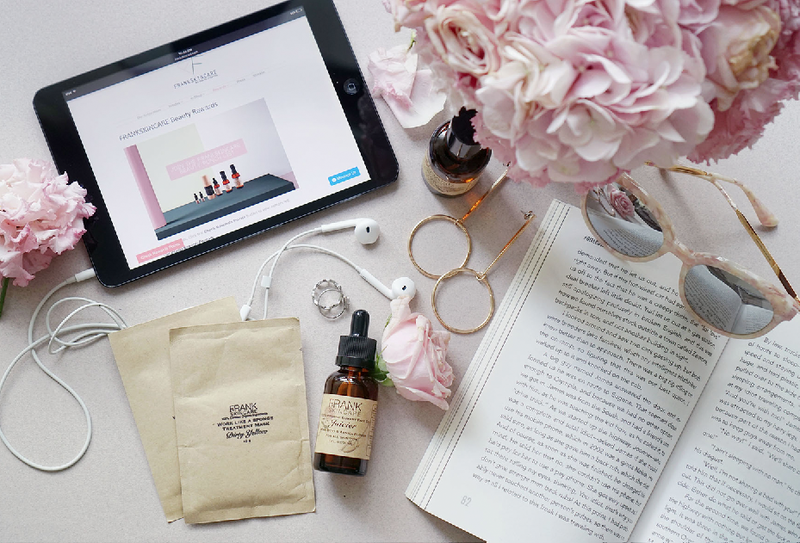 I've been finding myself wanting to make more ethical and conscious choices lately, especially when it comes to skincare. 'Green is the new black' is such a great name for this event, haha! 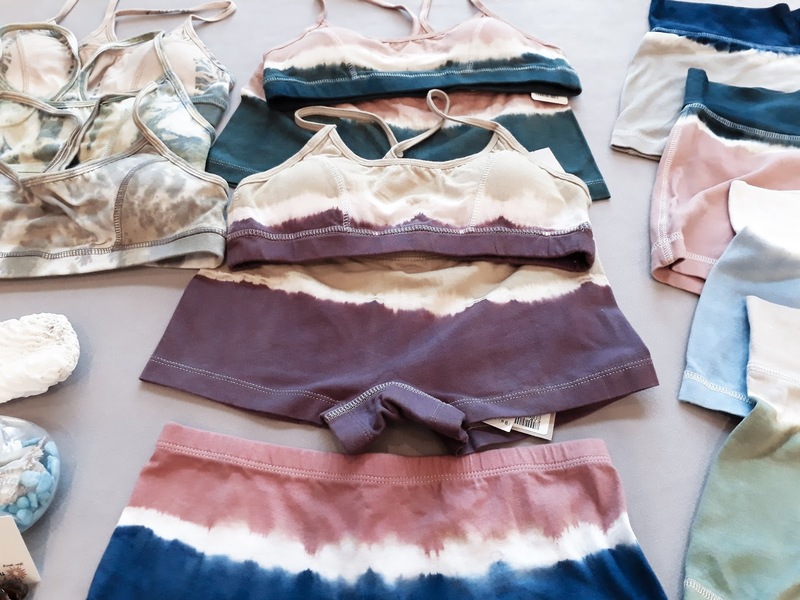 The tie dye activewear from YinYang Singapore looks particularly lovely. I appreciate this post, because I didn't know none of these brands. They sure are great brands, especially Baliza. Awesome! so interesting. I love finding new brands. There is a local store in Chicago who also made ethical clothes: Mata traders. Check them out!